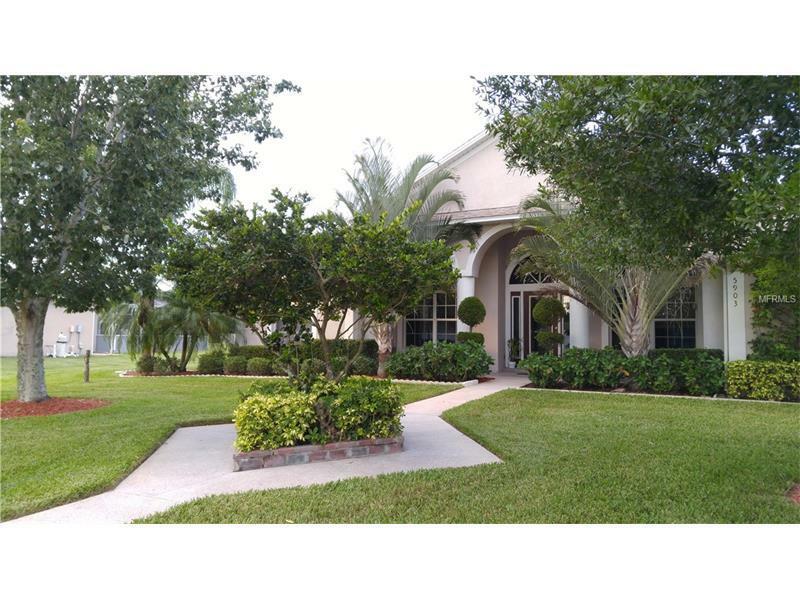 Gorgeous pool home on oversize lot in desirable Keystone Pointe subdivision! Lush landscaping leads to the columned front entrance. Door opens to formal living and dining rooms with crown molding. The cook's kitchen features all stainless appliances, including a stainless commercial-style vent hood, built in oven and microwave, custom 42" cabinets with crown molding, built in pantry with matching cabinets. Lots of slide-out drawers, including 2 large pull-out drawers under the smooth cooktop, for easy pan storage. Silestone counters and breakfast bar.The family room has a built in entertainment center and the TV is included! Living room, dining room and entry have beautiful crown molding. The master suite has a bay window for a little extra space, and sliders out to the pool deck, perfect for that midnight swim.The master bath has dual sinks with silestone counters, a jetted tub with separate step in shower, plus a large walk in closet.The fully screen enclosed pool area has two covered patios, a hot tub with waterfall and a paver area outside the screened area, for the BBQ. Back yard is completely fenced with white PVC fencing. Home has been well cared for. Located close to Florida's turnpike, giving you quick access to everything that Central Florida has to offer. Come to the bedroom community of St. Cloud, where it hardly ever snows!